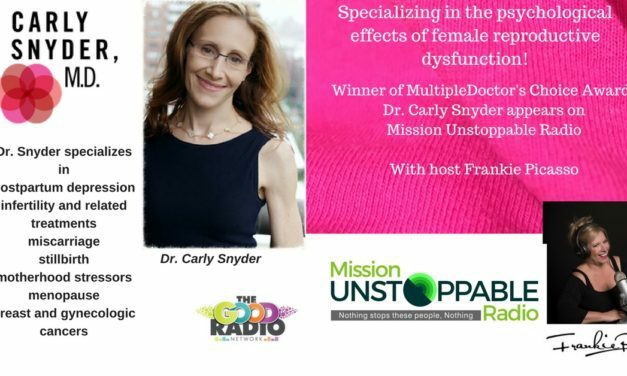 Dr Carly Snyder is one of a very small and select group of Doctors who specialize in comprehensive reproductive psychiatry , women’s peri-emotional struggles, and women’s mental health services. 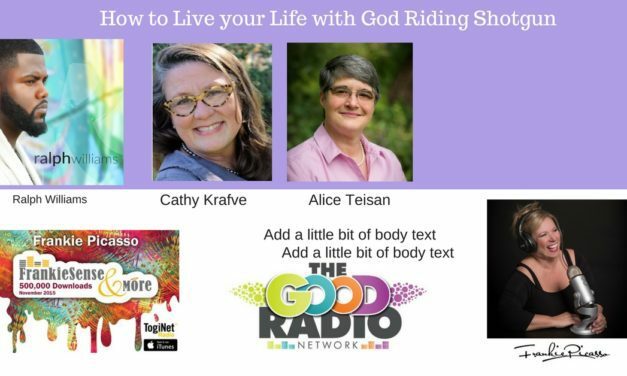 How to Live your Life with God riding Shotgun! 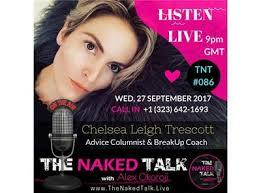 Host, Frankie Picasso welcomes Christian writer and Family expert Cathy Krafve as her special cohost for this episode as they interview Author Alice Teisan whose latest release Pray 10K , A 10 thousand hour prayer adventure is the story of Alice’s twenty-four year prayer journey where she recounts the struggles she encountered with both her faith and her physical body when she was diagnosed with Chronic Fatigue Sydrome and Ralph Williams, an award winning gospel singer from Jew York.